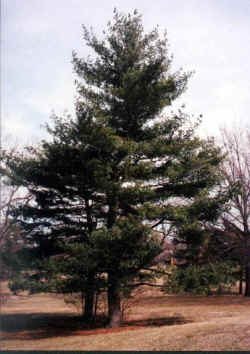 Behind Sertoma International is a pine tree that Sertoma officials call the Prayer Tree. 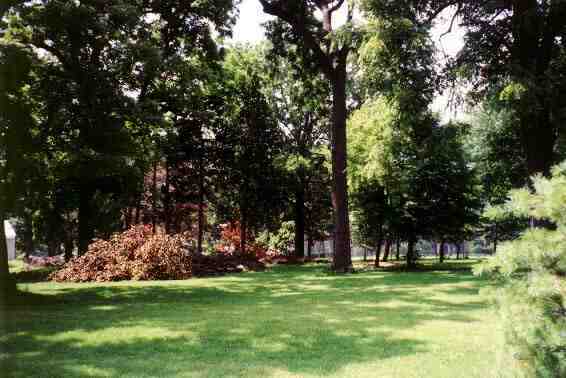 In the past, Sertoma witnessed prayer services being held around this tree. This tree may have been on Rajarsi's private golf course. 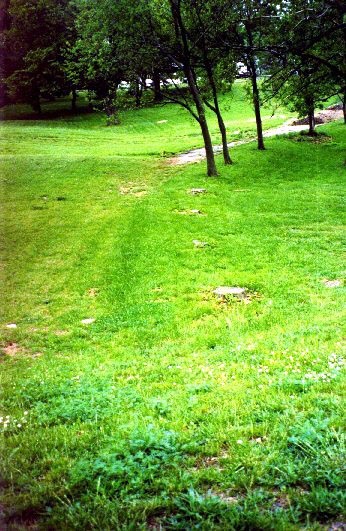 One newspaper account says that he would "roll through exercises on the dewy lawn of his property or lay prone to draw within himself forces from the good earth." No doubt, this is a description of his practice of energization exercises and yoga asanas. Perhaps those that knew him personally made trips to this location in memory. The local SRF meditation group is unaware of any observance here. 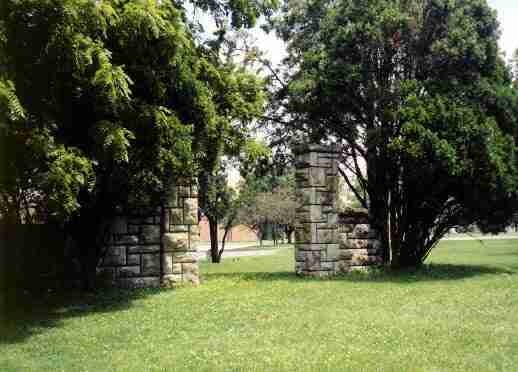 This gateway is about 100 yards east of where the main house stood. 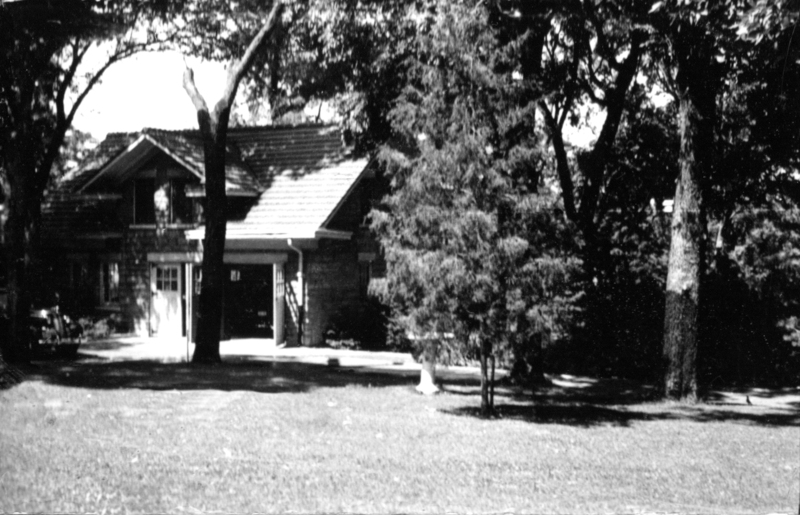 This line of cut trees indicates the driveway in front of the Lynn mansion. 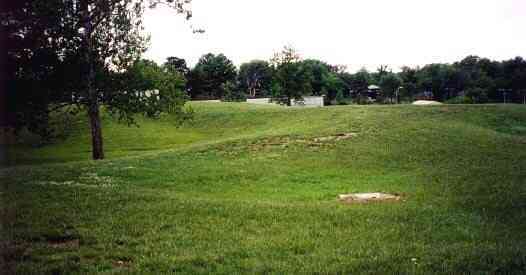 The driveway passes by this open hill top. 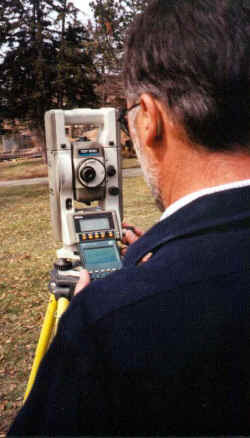 Using a 1925 map, a local SRF member determined that the Carriage House was located where a large metal shed is today. The home site was in this grove of trees. 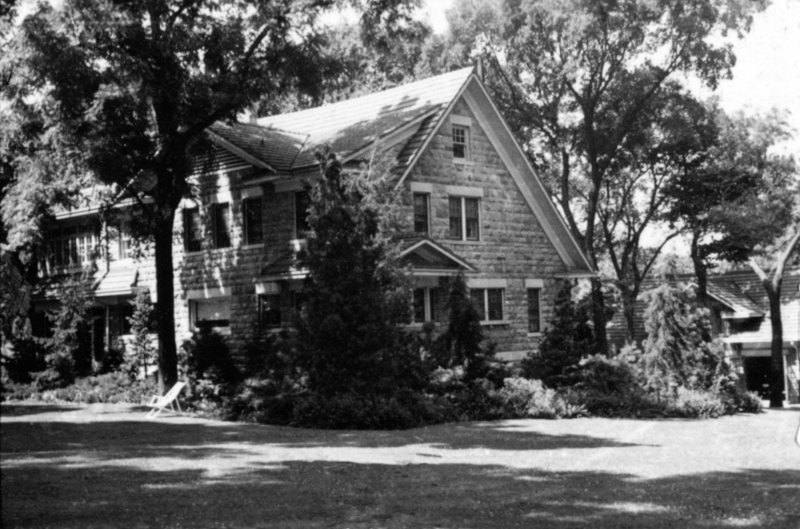 In 2010, the Kansas City Meditation Group of SRF discovered archived photos of the old Lynn mansion. You may notice the front of a Packard on the left of the photo. Rajarsi was known to drive a Packard. 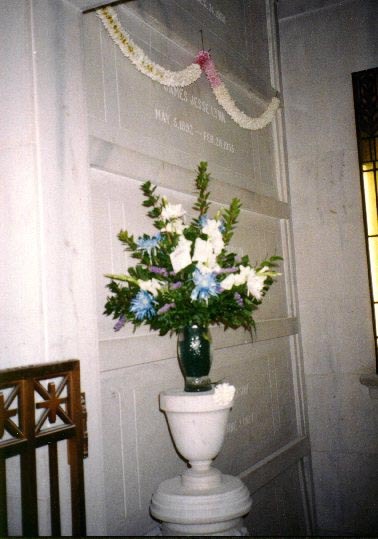 The Pantheon at Forest Hill Cemetery contains the crypt of Rajarsi Janakananda. 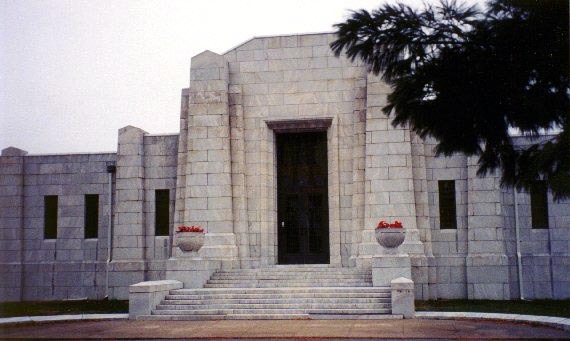 While SRF had a place for Rajarsi next to Paramahansa Yogananda at Forest Lawn in California, Rajarsi's family brought his body back to Kansas City for burial. His crypt is in the U. S. Epperson room along with Mr. and Mrs. Epperson and with Mrs. Lynn who passed away in 1968. She left one third of her estate to UMKC to establish the J.J. Lynn scholarship fund. Flowers are placed here four times a year by Self-Realization Fellowship in memory. For more information see: Rajarsi Janakananda: A Great Western Yogi at Amazon.com or in the SRF Catalogue.